Competing in WSB is one of the qualification routes for Rio so this is a very important part of the GB Boxing squad’s programme for 2016. 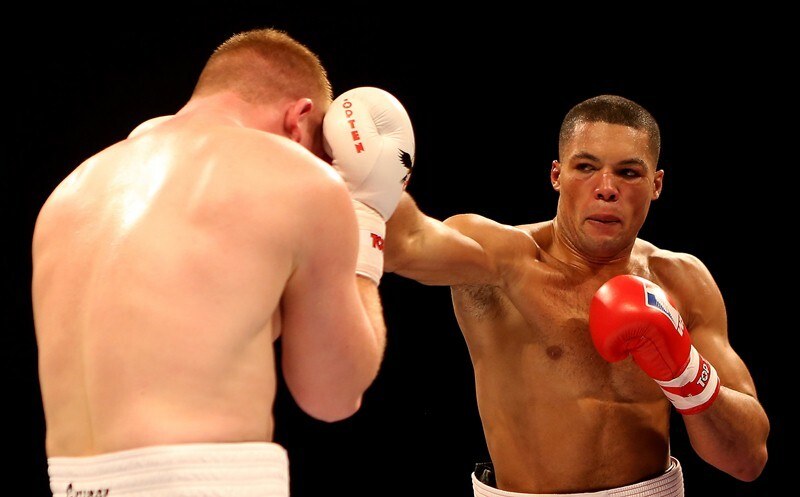 The British Lionhearts has announced the boxers who will compete for Great Britain in Season VI of the World Series of Boxing (WSB) which begins next week. The squad is made-up of 30 boxers from GB Boxing’s Podium and Podium Potential squads and eight overseas selections (in accordance with the regulations of WSB). The contingent from GB Boxing includes all six of the medallists from last year’s European Championships in Bulgaria when Great Britain delivered its best ever performance at that tournament returning with a gold for Joe Cordina, silver medals for Harvey Horn, Muhammad Ali, Qais Ashfaq and Pat McCormack and a bronze for Joshua Buatsi. They are joined by the experienced pair of Joe Joyce and Antony Fowler, who both have Commonwealth Games golds and World Championship bronze medals to their name. 2016 will be Joyce’s fourth season in WSB where he has consistently been one of the best performers in the competition. He has a track record of 12 wins from 14 bouts and was the number two ranked super-heavyweight in season 2015. WSB provides a qualification route to Rio 2016 whereby a boxer that competes once in seasons 2015 and 2016 or twice in season 2016 will be eligible for selection by GB Boxing to compete at the WSB Olympic qualifying event in Sofia in May of this year. Rob McCracken, GB Boxing’s Performance Director and Head Coach of the British Lionhearts, said: “Competing in WSB is one of the qualification routes for Rio so this is a very important part of the GB Boxing squad’s programme for 2016. The new season of WSB begins on Thursday 21 January 2016 when the Lionhearts take on the USA Knockouts in Miami. The team follows this with a trip to Morocco to face the Atlas Lions on Friday 5 February 2016. The first home match is against the Mexico Guerreros on Thursday 18 February 2016 at York Hall. The contest will feature bouts at light-fly, bantam, light-welter, middle and heavyweight and is likely to feature Antony Fowler, Qais Ashfaq and Pat McCormack. Tickets go on sale at 10.00am on Thursday 21 January 2016 at http://tickets.sky.com/Boxing/World-Series-of-Boxing. The remaining home fixtures will be see the Lionhearts take-on the USA Knockouts on 3 March and the Morocco Atlas Lions on 17 March 2016. A season ticket is available for all three home matches priced £30. WSB is the only Global Team Boxing competition where national teams go head to head in a league format. Developed by the International Boxing Association (AIBA), this unique competition brings together the best Olympic and national boxers in an exciting team format with worldwide appeal. Season VI will sees 16 teams compete in four groups of four. The boxers compete without vests or headguards in five three-minute rounds. There are five bouts per match and scoring is through the 10-Point-Must-System.